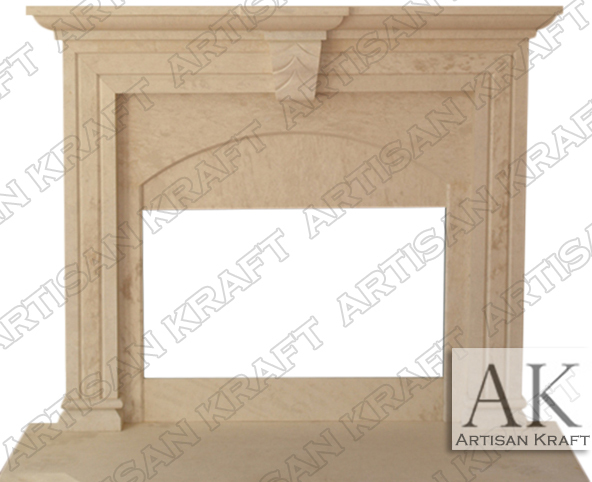 This marble mantel is carved from a cream stone. A keystone separates the two halves of the Freemont shelf. Great option for costumers looking for a cheap price on a great marble fireplace surround. Typical Dimensions: 65″ wide x 54″ high *can be made to custom dimensions. Stone: Cast stone, travertine, limestone, sandstone etc. Available in many different colors, textures and finishes.